The usage of microlearning for both formal and informal training has matured in the last 2 years. 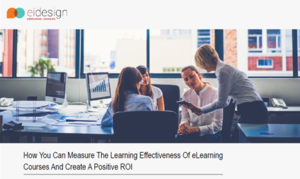 In this article, I showcase a microlearning case study that shows the edge it has over the traditional eLearning format. A lot has been said of dwindling attention spans and the need for L&D Teams to have online training that can be short and effective. 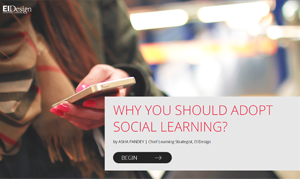 Microlearning is a delivery format that owes its wide acceptance not only to the fact that it addresses the attention span challenge but also to the increased adoption of mobile learning or mLearning. 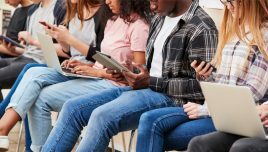 Microlearning-based training finds a natural alignment to the learning on the go that can be consumed by the learners on the device of their choice and when they need it. Microlearning refers to short, bite-sized learning (often 2-5 mins long and normally not exceeding 7 mins run length). A worthwhile point to be noted is that it is not “eLearning lite” (that is, a traditional eLearning course spliced into shorter nuggets), but it is designed to have an associated learning outcome. As a result, it can be consumed on its own or as a series of interconnected nuggets. Learning through shorter pieces is certainly not a new concept, microlearning has gained momentum in the last 2 years on account of its capability to keep pace with the way learners want to learn. It fits in well with our fast-paced lives and provides flexibility to learn on the go, complete the training in a short time and access it again, when required. While its initial foray was for Performance Support (job aids to support learners at the time of their need), today it is being used to offer both formal and informal training. Microlearning also offsets the other challenge of low engagement that traditional eLearning programs may have encountered. Given its delivery in wide-ranging, high impact visual formats, and its short run lengths, it normally has a higher completion rate. Microlearning also provides a more dynamic training delivery approach. The short nuggets can be quickly updated and redeployed. From a learner’s perspective, they can consume the learning nuggets based on their preference or need. 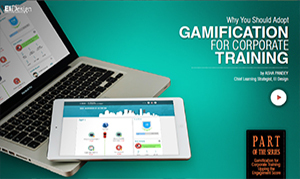 They are no more bound by a rigid learning path often associated with traditional eLearning. 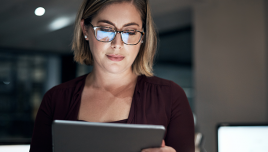 Microlearning can be used very effectively to meet a specific need—that is, a specific action leading to a specific skill gain or clearing a problem. Thereby, you will see a higher performance gain with reduced investment. Microlearning approach also facilitates personalization of learning. Given its granularity, you can offer highly customized or personalized nuggets based on the learner’s preference or proficiency. How Does It Fare Against Macrolearning Or Traditional eLearning? Does wider adoption of microlearning means a demise of macrolearning or traditional eLearning? In my opinion—No. Here is how I see both macrolearning and microlearning co-exist. 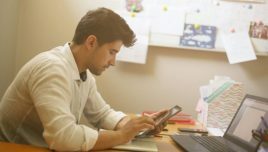 There will continue to be training needs that need the run lengths, structure and recommended learning paths that macrolearning or traditional eLearning offers. For instance, when you need to learn a complex application software, you need a traditional eLearning course rather than learning through a maze of multiple, microlearning nuggets. On a related note, the same training can certainly gain by an addition of Performance Support (job aids) to offer tips, shortcuts, FAQs and so on. My assessment is that macrolearning and microlearning will co-exist to address certain types of training needs. However, a lot of the training needs will map fully to microlearning approach with the flexibility to personalize. 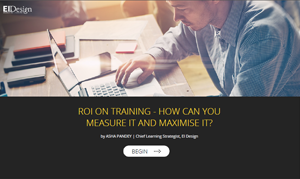 What Is The Gain As You Opt From Traditional eLearning To Microlearning? Microlearning-based training empowers learners by giving them higher flexibility and better control on how they want to consume learning. Learners are likely to show higher usage/referencing (particularly as Performance Support). It costs less and can be developed in shorter time as compared to traditional eLearning. It is easier to update and redeploy. It demonstrates higher completion rates. It is flexible and can be used to offer both formal and informal training. It can be used very effectively to bridge a gap. It can be created in diverse, appealing formats that suit the content and context best. It encourages sharing within the employees. To help you see the difference in the 2 approaches (macrolearning vs microlearning), I pick a microlearning case study featuring a course on professional skills training. The traditional eLearning course is part of a suite of 15 courses for Instructional Designers. This microlearning case study reflects how the learning path and the learning experience was updated as we transitioned the source content to microlearning. This demo uses a story-based approach (a storytorial) as an innovative and engaging strategy to present the information. 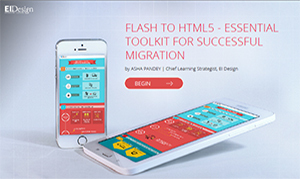 The story revolves around a team of Instructional Designers creating an eLearning course. Through the story and the interaction between the Instructional Designers, various content types and their visualization techniques are shown to the learners. 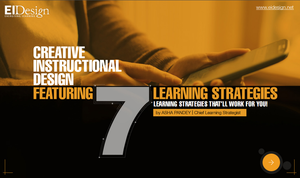 This approach also helps showcase the ways in which Instructional Designers process and ideate to create a course. Team introduction: Cast of characters, who are part of the storytorial approach. Usage of storytorial: Used real-time situation to explain the various content types. Knowledge checks: At the end of each topic, a knowledge check question is provided to the learner. This helps the learners to recall the learning from the respective topics. 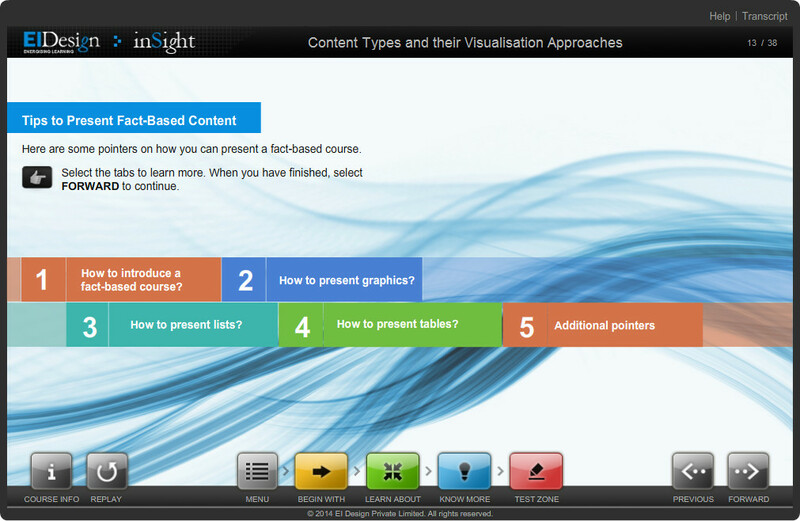 Tips: The course also covers the tips on usage of content types. Impact: The course enables learners to understand the different information types and map them to suitable and relevant visualization techniques. Using a story, the key concepts are presented in a way that can be practically applied to the actual work environment. 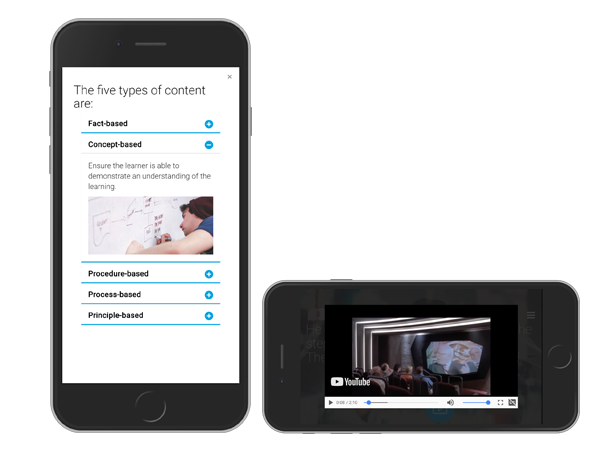 With the same content, we built a microlearning-based course with a simple but compelling narrative-based visual wrapper. Different microlearning formats were included in the flow of this course. The learner scrolls through to reveal the content and interact at specific points to view the microlearning nuggets. Learning journey through multiple, microlearning nuggets: Simple and intuitive learning nuggets are used to create different interactions and videos. Knowledge checks: These are used periodically to check the learner’s understanding of each content types. Impact: As you will note, the usage of microlearning nuggets can infuse a different learning experience. Given the more specific focus and shorter run length, it is likely to resonate better with learners. Usage of high impact formats like videos will certainly aid in higher recall and retention. 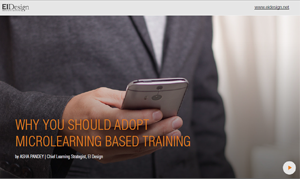 Fueled by acceleration in adoption of mLearning or mobile learning, microlearning-based training is here to stay. Given its flexibility, it can be used to offer both formal and informal training. I hope the featured microlearning case study gives you insights on how the technique can be used in contrast to traditional eLearning or macrolearning. If you have any queries, do contact me at apandey@eidesign.net.